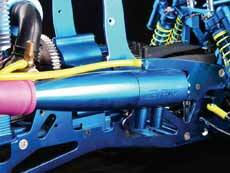 Replaces the stock upper bumper mount. The Tamiya TT-01 Graphite Thick 2.5mm Upper Bumper- 1 Piece Set Black has an average rating of stars based on 4 customer reviews. The most aggressive looking graphite bumper for TT01. 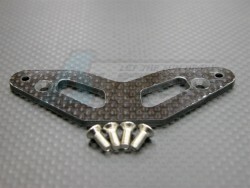 Very thick carbon fiber of 2.5mm. 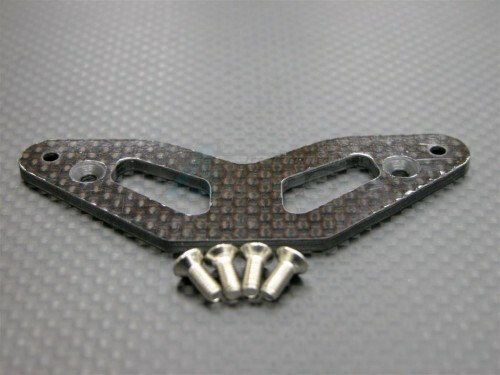 Amazing piece if you want to match the rest of your carbon fiber parts. When installed on the front number of TT01, this graphite number looks the most aggressive out of all the other graphite bumpers. Very thick of 2.5mm and amazing price. Accurate item description, shipping was fast!